In the 1920s, while still in his teens, Paul Fromm heard a performance of the Rite of Spring and concluded, “it made a 20th-century man of me.” In 1952, having established himself financially, he formed the Fromm Foundation, which he -dedicated to the cultivation of new music through the support of composers. In 1972, the foundation moved from Fromm’s home city of Chicago to Harvard University. This weekend, the Harvard Department of Music will celebrate the anniversary of the Fromm Foundation, still going strong after 60 years, with a pair of free concerts in Paine Hall on Friday and Saturday at 8:00 [details here]. These concerts arrive under the rubric “Fromm Players At Harvard: Celebrating 60 Years Of The Fromm Foundation (1952-2012).” Sound Icon, a Boston-based new music group which patterns itself on international groups such as the Ensemble Modern, Ensemble InterContemporain, and the London Sinfonietta, is taking the mantle of the “Fromm Players”, the ensemble formed during a 1957 experiment at Tanglewood created by the Foundation. Music commissioned by and inspired by the Foundation and Mr. Fromm, spanning a period of over fifty years will be programmed. In addition, there is student-curated exhibit of documents, scores and pictures from the Fromm archives on display at the Edu Kuhn Loeb Music Library at Harvard. Paul Fromm was deeply concerned about “the frustrating isolation of young composers and performers from each other” in this country; and even more generally, about the “lonesomeness” and “spiritual bankruptcy” that could result when a society lost sight of its cultural priorities. He took on the task to help create of a vibrant contemporary composing environment in this country. In Europe there was significant support from government, and Darmstadt and Donaueschingen were gathering places where artists could gather to learn from one another, but there was nothing comparable in the United States. The Foundation started unassumingly, commissioning composers privately and funding concerts and recordings; by the time it moved to Harvard, it was regularly commissioning 12 to 15 pieces a year. As the Foundation gained visibility, it expanded its activities: In 1957 Aaron Copland headed an experimental contemporary project that by 1964 grew into the Festival of Contemporary Music at Tanglewood. The Foundation held seminars at Princeton in 1960 that helped birth the periodical Perspectives of New Music in 1962, and in 1985 it created the Fromm Visiting Professorship at Harvard, first awarded to Peter Maxwell Davies, and last held by John Luther Adams. The music that emerged from the first half of the Fromm’s existence is largely modernist, and frequently complex. The Foundation was birthed at a time of great experimentation in music: in 1952, Pierre Boulez and John Cage were just beginning to realize their projects were divergent (4’33” would be premiered that August); Messaien’s Turangalîla Symphony was only four years old. 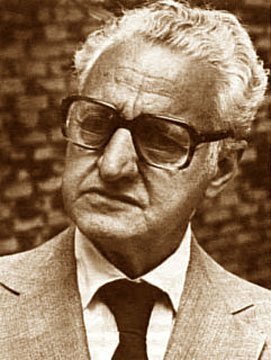 The earliest works on the two concerts are from the 1960s, and they represent crowning achievements of different kinds of modernist projects: Luciano Berio’s Circles and Leon Kirchner’s Concerto for violin, cello, 10 winds and percussion, both from 1960, and Elliott Carter’s Double Concerto. Circles, written for Berio’s wife (the redoubtable and sometimes terrifying Cathy Berberian), explores the nature of words as sound and the limits of meaning in setting three e.e. cummings poems. The Double Concerto famously pits two separate orchestra and soloist groups (one pianist and one harpsichordist) in independent yet interrelated tempi. Kirchner’s Concerto is a very different beast; Sound Icon’s Jeffrey Means describes the Carter as “a tower of complexity”, while the Kirchner is a “transparent, fragile structure that must be handled lightly.” One might also lump Bruno Maderna’s Giardino Religioso from 1972 into this group, though its extensive use of free improvisation places it in a different continuum of musical control; at one point the conductor leaves the podium to lead the ensemble by performing a conga improvisation. The title of this piece was originally Fromm’s Garden, but Maderna hid the tribute via translation, “religioso” being Italian for the German “fromm”. There was never any one particular compositional philosophy supported by the Fromm, no criteria other than quality and the idea of supporting a broad variety of styles and approaches. A remarkable photograph in the exhibit at the Loeb Library demonstrates this, showing a group of composers at a Fromm gathering, a delightfully varied bunch : Earle Brown, Matthias Kriesberg, Ingram Marshall, Ben Johnston, Bernard Rands, Jacob Druckman, Joan Tower, Morton Subotnik, Alvin Lucier, James Tenny and Luciano Berio. As modernism began to harden into serialist orthodoxy, Fromm’s desire to keep his mission broad resulted in some uncomfortable conflicts. In 1972 he withdrew funding from Perspectives in New Music because he felt that it was becoming too narrow in focus. In 1983, he reduced his financial support for the Tanglewood Festival for similar reasons. The Foundation itself went through some restructuring, and in 1985, Steve Reich received a Foundation commission which resulted in the clarinet ensemble work New York Counterpoint, a composition worlds away from modernist complexity. Fromm felt it was especially important to support women composers, and the three most recent works presented this weekend are all by women: Barbara White’s Third Rule of Thumb from 1999, Liza Lim’s Shimmer Songs (2006), and a world premiere by Karola Obermuller, elusive corridors. The Fromm Foundation has enriched the musical life of Boston through its regular concerts, but also through the cultivation of Boston composers. In addition to Kirchner’s concerto, the Boston connections represented by Tre Invenzioni (1972) by Gunther Schuller, and Pre-pulse Suspended (1984) by Lee Hyla. Among Fromm’s hopes was that there might be a received canon of modern works that would enter the standard repertoire. One of the displays in the Loeb exhibit concerns a 1974 report on “music of the last 40 years not yet established in the repertoire.” Composers were asked to list compositions they felt deserved more performances than they had so far received. John Adams’, just two years before his 1976 conversion experience, advocated for pieces by Cage, Cardew, Stockhausen and Boulez. Fromm’s hope cannot yet be said to be realized. Circles and the Double Concerto are now recognized as critical pieces in the development of 20th century music, but they are demanding enough and played rarely enough that this weekend’s performances are a major event, not the presentation of “standard new music repertoire.” But then again, – the 1974 Fromm survey notes that even the Rite of Spring, Paul Fromm’s inspiration for a life of musical philanthropy, was still not “standard” in much of the country. That has certainly changed. And here in Boston, the plethora of new music ensembles owe some debt to the support, encouragement and hope promised by the very existence of the Fromm. The concerts of the “Fromm Players At Harvard: Celebrating 60 Years Of The Fromm Foundation” will be presented at Paine Hall Friday and Saturday nights, April 12 and 13, at 8 p.m. at Paine Hall. Friday night’s concert will feature works of Lim, Berio, Kirchner and Maderna; Saturday’s will include pieces by Schuller, Hyla, Obermuller, White and Carter. The concerts are free and open to the public. Anyone drawn to Friday night’s Fromm Foundation anniversary concert featuring the Concerto for violin, cello, 10 winds and percussion by Leon Kirchner may also be interested to know that “Revelations”, a CD of works by Kirchner, has been released by Verdant World Records. “Verdant world” is presumably from the well-known quote of Kirchner’s: “an artist must create a personal cosmos, a verdant world in continuity with tradition.” Kirchner, who died in 2009, is noted for both his uncompromising musical vocabulary and for his passion and intensity. Pianist Jonathan Biss, in comments made at a 2010 appreciation of Kirchner, called him “powerful” and “authoritative”, the music filled with “conflict” and “turmoil” and the messiness of contradiction and complexity. The works on this disc offer a view into Kirchner’s own “cosmos”, though the selections make it more of a sampler than a thorough overview. The pieces were written over more than six decades, from 1943 to 2006. They emphasize vocal and choral works, many of which have not been previously recorded. When writing for singers, the young Kirchner was drawn to challenging poetry, with mixed results. “Dawn” (1943-1946), for choir and piano, sets a rather lurid poem of Federico Garcia Lorca’s (“Sometimes, the coins in furious angry swarms/Sting, pierce, devour abandoned children”) to music that seems almost reticent, almost decorative, in comparison. “Three Songs” (1943-1946) for soprano and piano sets three very different poems: Gerard Manley Hopkins’ “The Times Are Nightfall” resists clear setting (“Work which to see scarce so much begun/Makes welcome death”), though Kirchner captures the romantic melancholy embedded in the poem, and closes with a touching cadence which would sound out of place in his later music. “A Letter to My Wife” by Sidney Alexander, written in 1938, depicts a love shadowed over by the fear of impending war, filled with drum-roll rumbles and implied fanfares, but never overwhelmed; Whitman’s “The Runner” is an simple, four-line, almost prosaic description of a man running, captured in less than a minute of tone-painting. These early works, though perhaps a little slight, wear their romanticism more on their sleeve than do the later works, and provide a more accessible insight into the emotions of the composer that helps to unlock the more daunting later pieces. Diana Hoagland sings persuasively with careful attention to the texts, finding reserves of warmth even in the knottier phrases. The other very early piece is the Little Suite (1949) for solo piano, whose five movements are over in less than five minutes. They comprise a genre with precious few other pieces – modern works intended for non-professional performers. Of the many accusations made about the inaccessibility of modern music, one of the more damning is that much of it is not playable by any but the most highly trained musicians. Kirchner in this suite speaks the same language as in his other pieces from this period, but does so briefly and without complication: a brief contrapuntal Prelude is followed by a Song that starts out quite conventionally then wanders slightly afield; then there is a rhythmic and spiky Toccata, a melodramatic and noisy Fantasy, and a shadowy and hypnotic Epilogue. This is music that is charming without being sentimental, simple without being simplistic. With the choral Words from Wordsworth (1966) we are two decades further along and in a quite different sound world. The texts are brief fragments from The Tables Turned and Intimations of Immortality, broken apart and distributed among the voices – the gestures are now more concentrated, even percussive, with brief swoops of something like Sprechstimme; the piece is over in less than three minutes. The Twilight Stood (1982) for soprano and piano goes even further in its setting of six poems by Emily Dickinson. The soprano frequently is pushed to the extremes of her range; the piano is restless, often bursting out in torrents of notes; at other times, moving nervously behind the long lines of the singer. The texts are occasionally difficult to follow, but Kirchner at this point in his life is a more acute interpreter of the emotions moving in the text. The disc is filled out with the brief (47 second) “A Moment for Roger”, dedicated to Roger Sessions; and to The Forbidden, a solo sonata for piano from 2006. It takes its name from the catalog of forbidden elements (such as diminished sevenths) cataloged by the devil in Thomas Mann’s Doctor Faustus. Kirchner employed those elements here (and in both a string quartet and orchestral piece by the same name) to prove their usefulness when deployed in an original manner. The result is a propulsive and quicksilver piece which I found the most engaging of the recording. The performers all show an intimate and idiomatic way with the music. In the case of The Twilight Stood, this is perhaps less remarkable as it is a live recording from 1982 featuring Kirchner himself on piano and soprano Beverly Hoch. The other pieces feature pianist Joel Fan as soloist and accompanist, who plays this music with clarity, eloquence, and occasional intelligent violence in The Forbidden; and Scott Dunn leads the excellent choir assembled for the recording in Dawn and Words from Wordsworth. Why do fine operas like Palestrina, Mathis der Maler and Doktor Faust attract only a small contingent of passionate admirers today?